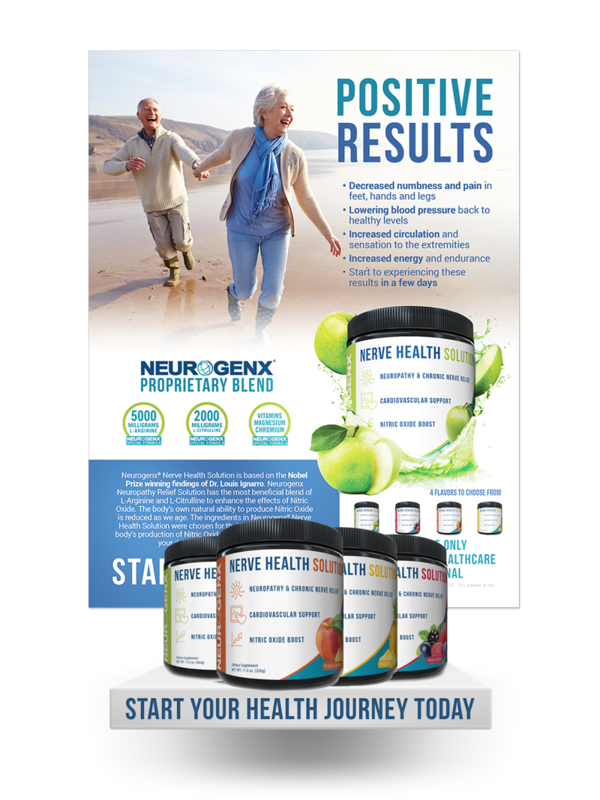 Neurogenx® Nerve Health Solution is based on the Nobel Prize winning findings of Dr. Louis Ignarro. Neurogenx Neuropathy Relief Solution has the most beneficial blend of L-Arginine and L-Citrulline to enhance the effects of Nitric Oxide. The body’s own natural ability to produce Nitric Oxide is reduced as we age. 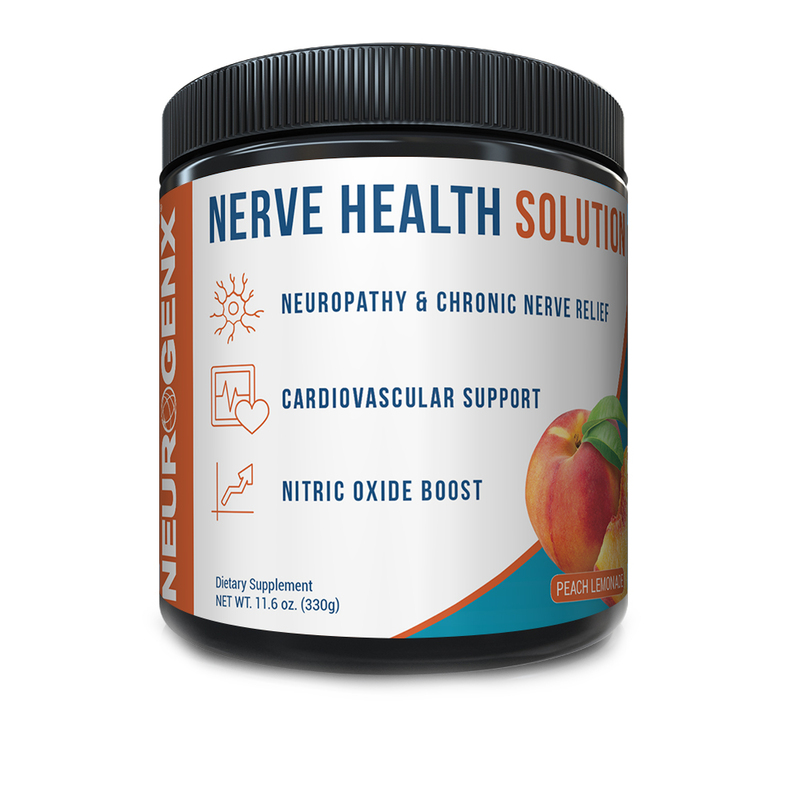 The ingredients in Neurogenx® Nerve Health Solution were chosen for their ability to support the body’s production of Nitric Oxide and be an important part of your daily healthy nutritional plan. Join the thousands of physicians that trust and sell Nerve Health Solution!